In November, Star Citizen lost its Wingman. As the host of Wingman’s Hangar, Eric Peterson had become the public face of the ginormous, neverending crowdfunding campaign attached to the nascent space game. 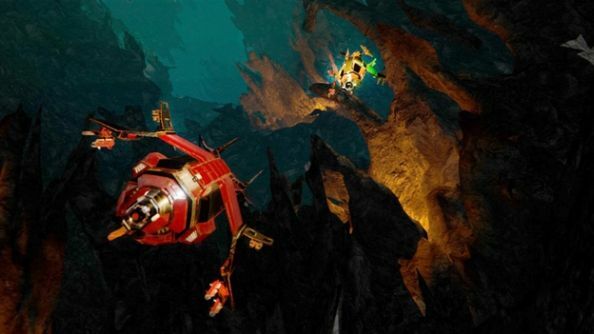 But over the last month, his palpable enthusiasm has instead fuelled Kickstarter efforts for Descent: Underground – a revival of the maze-shooter which introduced PC gamers of the ‘90s to six degrees of freedom. The question is why. Why would Peterson and a gaggle of Cloud Imperium devs leave behind one of the most successful crowdfunding projects ever pitched to start again at zero? 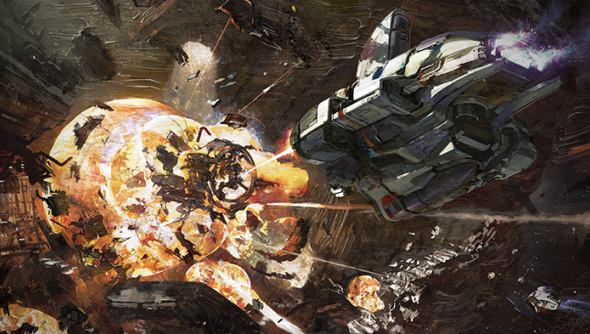 While Star Citizen has a long future ahead of it, it’s an equally long way from fruition. And any frustration you might feel over the game’s scale is shared by some inside Chris Roberts’ studios. Peterson and colleagues at Cloud Imperium’s Austin office loved working on Star Citizen. But they’d talk, too, about working with a “tight-knit” team on something a little smaller – something they could get out to fans and backers a little faster. When Cloud Imperium decided they wanted to move all their global leadership positions out to Los Angeles, where Roberts could direct development more easily, that idle fantasy swiftly became a serious prospect. Led by Peterson, a contingent at the Austin studio decided to break off and do their own thing. The geography in this story is important: as alumni of the Austin development scene, most of Peterson’s team had at one time worked for Origin Systems on games like Crusader: No Remorse and Wing Commander. They were veterans of ‘90s space games, and when brainstorming concepts, the idea of a “Descent-like” space shooter wouldn’t go away. “It kept coming up and up again, and we thought, well, it’s pretty obvious,” said chief tech officer Jason Spangler. Prototyping began, and before long they were contacted by Interplay, the current owners of the Descent license – who wondered whether Peterson and team wanted to drop the “-like” from their pitch and make an official sequel. They did. 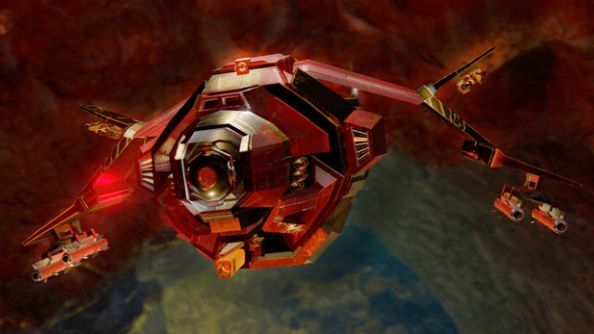 The team, now named Descendent Studios, see something in Descent uncopied even 20 years on. First-person space games tend to offer a wide-open vacuum to explore, and most rely on floating dust or junk simply to convey the sensation of movement. By contrast, Descent was an extended interactive take on the Death Star’s trench run – about flying a tiny craft through the bowels of asteroids; twisting through three-dimensional mazes that would “stretch your mind going every direction”. Descendent are excited, too, about working with six degrees of freedom – ship rotation on three axes that leaves their maps with no fixed floors or ceilings. They’ll build on that topsy-turvy ethos with destructible terrain – possibly voxel-based, possibly not – that they expect will bring new strategic possibilities to multiplayer. In single player, destructible terrain will provide Descendent’s designers with another set of tools to secrete hidden rooms and passages into the game. It’s a good fit for a series which already shared Doom’s fondness for locked doors and elusive keys. Descendent are also working on ship loadouts they hope will add “more depth” to the Descent formula. Descendent have been able to test new ideas quickly in Unreal Engine 4’s editor. While they’ll use traditional C++ for matchmaking and more complex logic, most of the game will be coded using Epic’s simplified scripting tool, Blueprint. “Developers can try new things in Blueprint, start the simulation, see what it’s like – and if they don’t like it, go back, make some more tweaks and play again until they get it feeling good,” said Spangler. Descendent can’t change everything, of course. They are somewhat beholden to their backers – who are a surprisingly varied bunch. 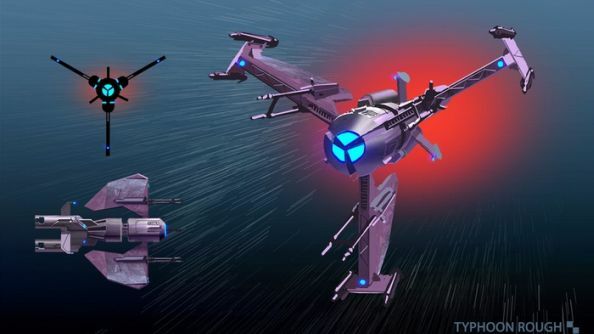 The Kickstarter campaign – successful, by a hair – has pulled in players from Star Citizen’s dogfighting Arena Commander module as well as fans of the original Descent. And even among the diehards, there’s a split between those who remember the single player and the multiplayer – which were quite different games. “In single player, you were flying fast, avoiding shots from enemies, finding power-ups – and there was the puzzle aspect of it also, finding the keys for different doors,” said Spangler. Whether or not Underground will retain that split focus or consolidate its strengths is something Descendent are still “talking about” – internally and with their backers. They’re playing with the idea of deathmatch multiplayer separate to a puzzle-enhanced cooperative and competitive mode – though budget dictates they’d need to tackle the modes one at a time rather than simultaneously. The one feature all camps in Descent’s divided fan base can agree on is VR. With its odd, subterranean atmosphere, Underground is “almost the perfect game for it”. Descendent already have their Kickstarter demo up and running in VR, and are taking advantage of UE4’s “open-source-like” approach to feed their ideas back into the new engine. What’s more, they’ve a potential new feature in pre-production. 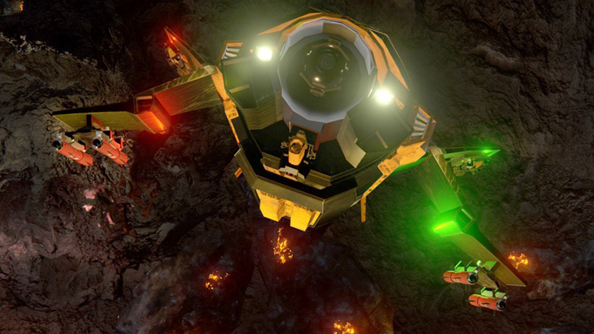 Descent: Underground is penciled in for a March 2016 release on PC. Unreal Engine 4 development is now free. In this sponsored series, we’re looking at how game developers are taking advantage of Unreal Engine 4 to create a new generation of PC games. With thanks to Epic Games and Descendent Studios.